In most ordinary health plans, diabetes and hypertension typically feature as an exclusion until after 1, 2 or even 4 years waiting period. Specialized covers, on the other hand, are designed to accommodate those who have already been diagnosed with diabetes and are normally characterized by higher premium rates. Diabetes is a disease which is characterized by the body being unable to utilize and store sugar in the form of glucose. This, in turn, causes a ‘piling’ of glucose in the bloodstream, causing one’s blood sugar or blood glucose to rise beyond the healthy equilibrium level. There are two types of diabetes: diabetes type 1, in which the body completely stops producing any insulin, (a hormone that aids the body to use glucose) and is common in children and young adults. Type 2 diabetes, occurs when the body doesn’t produce sufficient insulin and/or is unable to use insulin properly. This type of diabetes usually occurs in older people of over 40 years, have a family history of diabetes and overweight people. It has been noted though that type 2 diabetes is increasingly occurring in younger people. India is infamously dubbed as the ‘world capital of diabetes’, with a population of approximately 65.1 million suffering from type 2 diabetes and is increasing at an alarming rate from 50.8 million in 2010. On the other hand, the costs of managing diabetes are also high, with an average claim value of about Rs 50,000 and rising at 18% every year. 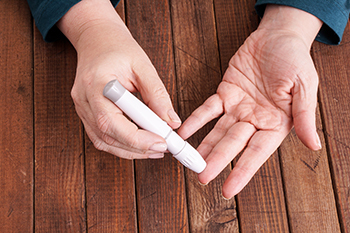 It is no wonder that only a few insurers have opted to step forward and specifically address the insurance needs of diabetics. Below are a few quick tips to help you get the best diabetes cover. In most ordinary health plans, diabetes and hypertension typically feature as an exclusion until after 1, 2 or even 4 years waiting period. Specialized covers, on the other hand, are designed to accommodate those who have already been diagnosed with diabetes and are normally characterized by higher premium rates. These plans would cover type 2 diabetes-related complications such as heart and kidney ailments. One can look out for plans that offer diabetes coverage after a shorter-than- the regular waiting period. Alternatively, a slow and steady tactic to get covered would be to buy a health insurance plan, ensure that diabetes and related complications are not excluded and pull through the waiting period. Although Group Health Insurance cover provided by the employer yet it is limited to those employed, during the term of a valid employment only. Such a plan provides much-needed cover for pre-existing conditions including diabetes. During the term which such a cover is available, it is important to purchase an individual cover and use the group cover to wait out the waiting period of your individual health cover. The best way to ensure is to take appropriate insurance while you are young. If you have a family history of diabetes or hypertension it is prudent for you to buy insurance now. Insurers will often agree to offer a standard hospital cover that covers the disease. If on the other hand you buy a health cover while still in the early stages post-diagnosis, there lie high chances that you will manage to cover the insurer’s waiting period before there arises any need for significant hospitalization. Diabetes consists of easily identifiable symptoms that include: frequent urination, excessive thirst, blurry vision, fatigue and sudden weight loss. It is advisable to check your blood sugar level, frequently and take appropriate medical and financial precaution to safeguard your loved ones.